Protect your property and vehicle by trusting Katy Overhead Doors for secure and durable commercial garage doors in Katy, TX. The skilled team at our company installs industrial and commercial doors of all sizes and varieties—from steel and wood to roll-up doors. Whether you need a new door for your business or you want to replace your old overhead door, you count on us for comprehensive commercial garage door installation. Add more security to your business with a new garage door. If your current door is old or a lower-end model, your business is vulnerable to burglary. Some older models are not able to keep out intruders due to inadequate security features. Allow us to provide an inspection of your door. If we feel that you could benefit from an upgrade, we'll recommend some affordable options that suit your needs. We install many makes, models, and types. Choose from a full line of doors to ensure a safe and secure safe building. Not only do the doors we install stand up to daily usage, but they also prevent unauthorized access to your property. For assistance in selecting the right overhead door for your business, set up a consultation with us. Having more than 10 years of experience at providing commercial garage door installation, our owners can help you choose a door that is both functional and appealing. In addition, our local commercial garage door company specializes in fast, affordable, and dependable services. Area business owners have trusted us for their garage door needs for many years. Not all garage doors are the same. For instance, both commercial and industrial garage doors are heavier than residential doors. Turn to a team that can handle the heavy lifting and perform exceptional work. Even if your door is still working, it may be a good idea to replace it in order to improve the appeal of your property or even the strength of the door itself. Let us help you choose an overhead door that meets your needs and your budget. As a business owner, you need to save money. When you're trying to stay within budget but you need industrial garage doors, rely on us for solutions. We are proud to offer the lowest prices in the area. Most importantly, we do not compromise on quality. Our industrial doors are strong and designed to suit your needs. 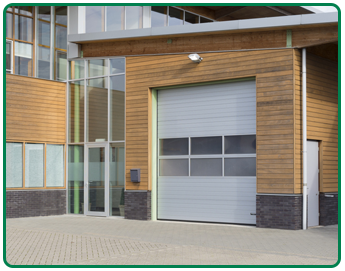 For more information about our industrial garage door installation services, schedule a consultation with us today. Contact us for a fast response when you need a new commercial or industrial overhead door. We proudly serve residential and commercial customers in Katy, The Woodlands, Sugar Land, and Columbus, Texas, as well as in and around the surrounding areas.